The Adult Stamp Collectors Group is a free program for adults who are interested in stamp collecting. 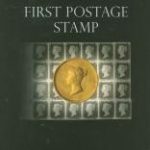 The program is aimed at those beginning to collect stamps or wanting to resume the hobby, as well as those curious about the attractions of stamp collecting. The 2018 Fall meetings will be held on the following Saturdays from 1 – 2:30pm. For information or to register, email info@collectorsclub.org or call 212-683-0559. The Collectors Club Youth Stamp Club begins its 10th year in the fall of 2018. This free program is open to students in Grade 4 and up. The Youth Stamp Club meets once a month on a Saturday morning from 10:00–11:30AM at the Collectors Club of New York, which is located at 22 East 35th Street, Manhattan. Please join us at Aripex 2018, Feb 16-18 for the Club’s multiframe competition. On Friday Feb 16, we will enjoy a private tour of Frank Lloyd Wright’s Taliesin West confirmed for a 7 PM Friday evening “sunset tour.” Based on weather and sunset time this should be an outstanding social and unique “Valley of the Sun” event! We are limited to a maximum of 30 spots, and the cost per attendee will be only $15, thanks to generous support from Schuyler Rumsey. Plans are to car pool to the tour site from the show hotel, departing at around 6 PM. Some may want to have a light snack prior to the event, and we are planning a no-host post-tour light meal afterwards for those who choose. Please contact me directly to secure reserved spots. Payment will be collected at the show. The CCNY now has an online store complete with a shopping cart linked to PayPal.